These classes are based on Indian Hatha Yoga and Japanese Oki-do Yoga, which in combination, use gentle movements to restore and maintain the body’s natural rhythm. 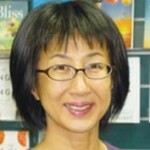 Asako is an intuitive and very popular teacher who works with individuals regardless of their age and level of fitness. The classes are easy to follow – you will come away refreshed and relaxed in mind and body. FEE per session: $14 or $115 for 9 sessions. No need to book – Just come along.